King Edward’s School are through to the Inter-Regional stage of the Schools’ Challenge Competition, thanks to a landslide victory against King Edward VI Camp Hill School for Boys. Schools’ Challenge is a national general knowledge tournament which tests pupils’ quick-thinking and determination, in a similar format to University Challenge. 16 teams from eight schools took part in the regional round at King Edward’s School on Thursday, 13 November 2014. King Edward’s School entered three teams in what turned out to be a strong set of heats. Our 2nd and 3rd teams sadly fell at the first round stage, but our 1st team gave strong performances throughout, eventually beating King Edward VI Camp Hill School for Boys by a spectacular 810-400 in the final. The victorious 1st team comprised Year 10 pupils Alex Jarvis and Howard Kordan, and Yanbo Yin (c) and Patrick Wernham in Year 13. They were supported by our 2nds: Year 8 pupil Aroun Kalyana, Year 10 pupil Aloysius Lip, and Nick Wyatt (c) and Josh Kimblin in Year 11. Finally our 3rds were represented by Year 9 pupil Gabriel Bruce, Year 10 pupil Raheem Humphreys, and Phillip Holt (c) and Alex Pett in Year 11. 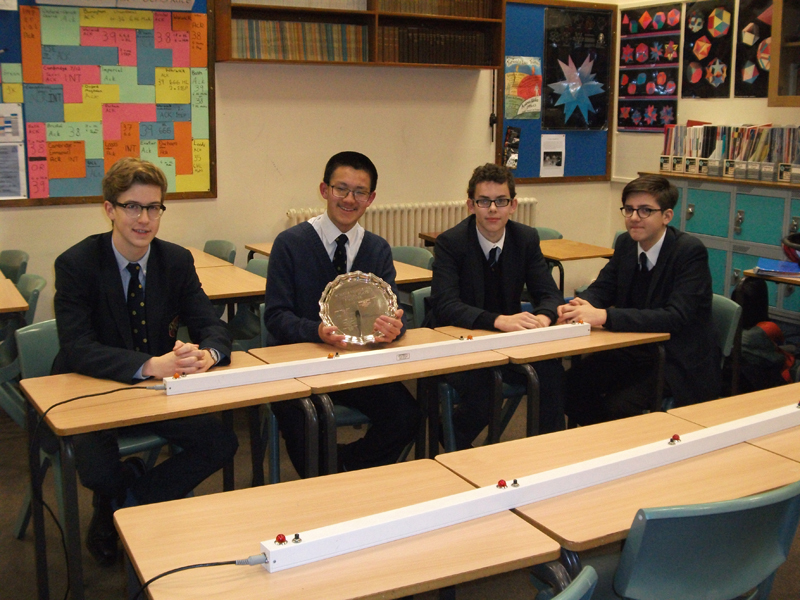 King Edward’s School’s winning team will now go on to play in the Inter-Regional stage of the contest, in a bid to reach the National Finals in Spring 2015.